Welcome to Orchid Daze 2014! 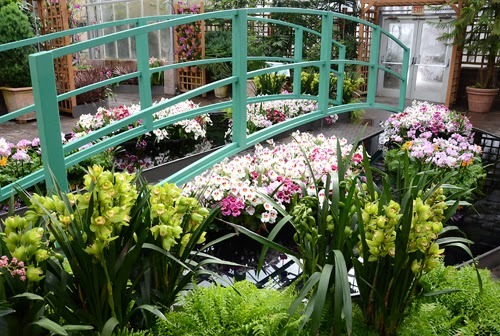 While you were pounding the ice from your doorstep, we were putting the final touches on our orchid display. ABG's impressionism-inspired orchid display, Lasting Impressions, open this weekend!, is exactly what you need to put all that behind you. 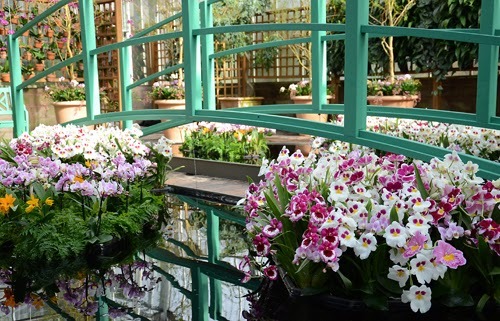 In the Orchid Atrium, you will see a display inspired by Monet's paintings, with hundreds of Pansy Orchids, cattleyas and Moth Orchids floating in an oval of water below Monet's iconic bridge. 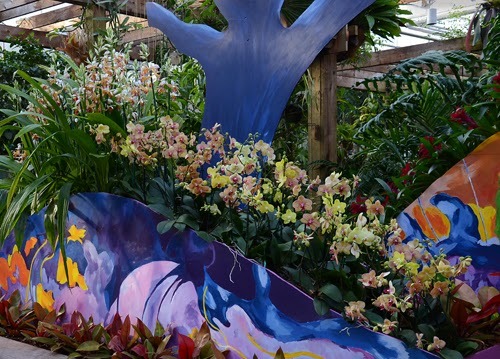 The color riot in the Orchid Display House is inspired Gauguin's luscious tropical palette. 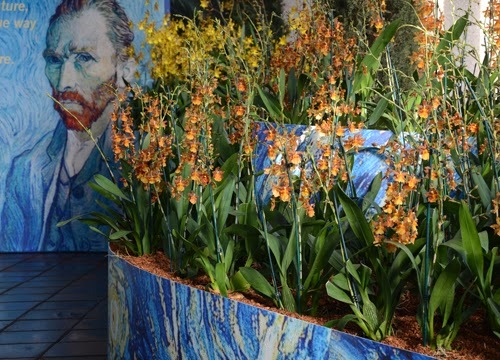 Van Gogh's indigo and earth tones are featured in the Conservatory Lobby, with violets, Oncidium spires and towering Italian Cypresses. Come and welcome spring at ABG! 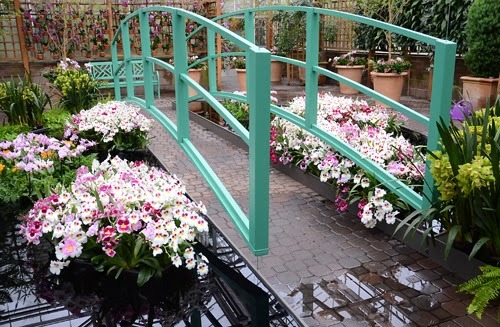 Orchid Daze 2014: Lasting Impressions is open this weekend at 9 am. See you there!